When it comes to selling Highlands homes, staging makes an impact. Staging and design are similar yet different. The goal of staging is to maximize the use of your home’s space, show off its attributes and make it appealing to the masses. In a nutshell, staging makes your home appealing with a neutral palette, enabling a potential buyer to see himself living in your home, not you living in your home. 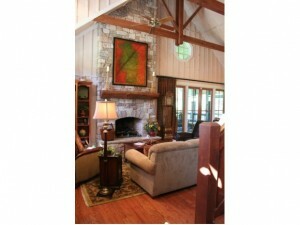 Staging Highlands real estate to sell can actually draw a higher offer. While staging is something you can certainly do yourself, if you doubt your talent you may want to consider hiring a professional. A professional has the furniture and accessories to add balance to your home. Talk with your Highlands REALTOR® today to learn more about staging homes and how it could prove beneficial. Contact me, Lynn Kimball, today to learn more about selling real estate in Highlands NC. I welcome the opportunity to share a complimentary listing presentation and update you on current market conditions at the same time. Let my knowledge and experience work to your advantage to get your home sold. Click here to read “Start the Conversation: Turn Your Sellers on to Staging” from REALTOR Magazine.